30th Street Blog: Jaynes Gastropub: Let September Wine Month Begin! Jaynes Gastropub: Let September Wine Month Begin! Tuesday through Thursday this week were are featuring a 3G Wine Flight. No, this isn't a reference to my last iphone that actually worked, I'm talking about Gruner, Grasevina and Pinot Grigio. There is perhaps no white wine more versatile than Austria's Gruner Veltiner. The Domaine Wachau is a Jaynes staff favorite with ripe apple/grapefruit notes, crisp acidity and stony minerality. This wine just seems to pair with everything. Jaynes is fortunate to be among the very few restaurants in San Diego to be really digging into the wines of Central Europe. Gravesina is the Croatian planting of the ancient Welschrielsing. Zdjelarevic hand harvests their grapes and ages sur lie in stainless steel. This process, most often seen in the production of Muscadet in the Loire Valley, adds complexity and richness to the wine. Pinot Grigio, perhaps the most bastardized and maligned grape variety in the world. The Collio region of Friuli in Northeastern Italy along the Slovenian border was one of those winemaking regions that woke up to how unique a wine could be and opened the door to great Pinot Grigio. The winemakers from the region, on both sides of the border, make some of the world's most unique wines and appear to have little interest in biasing their wines towards an international palate. The often insipid, flat flavor profile is replaced with beautiful aromatics, a full, rich mouthfeel and a color like Provence rose'. Every Saturday in September we will be hosting a tasting series from 5pm-6pm where we will feature wines from around the world with experts on hand to pour and talk some serious wine. This week we we be featuring California wines with our good friend Matt Ahern from Next Generation Wines. Matt has just about the hippest collection of small California producers around and we're very excited to have him here at Jaynes. The tasting will be out on the patio so we hope all of you wine lovers will come join us in celebrating the wines of California. We will be selecting 3 incredible bottles. 3 tastes are just $10. Jaynes Gastropub and Blue Danube Wines is hosting a Central European Wine Dinner on Tuesday September 21st. 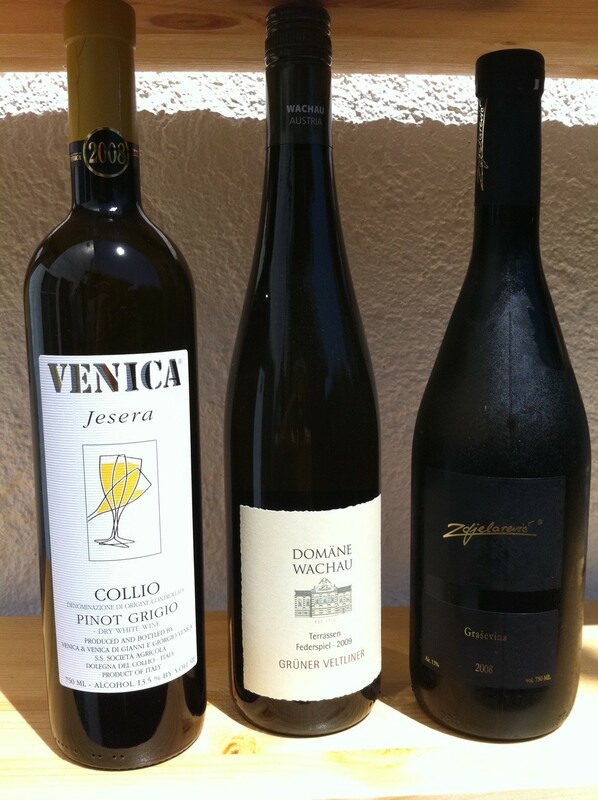 We will be featuring 6 Wines from Austria, Slovenia, Croatia and Hungary paired with a 4 course Dinner. Our good friend Stetson Robbins from Blue Danube Wines will be here to pour wine and talk. Stetson, besides being very good looking and having a great name, has incredible knowledge and passion for this region and Jayne and I always enjoy his company. We don't do wine dinners very often, but when we do we just have to go all out. $55 per person plus tax and gratuity.